It combines a Knowledge Base, FAQs, Forums (bbPress integration) and a ton more nice features. 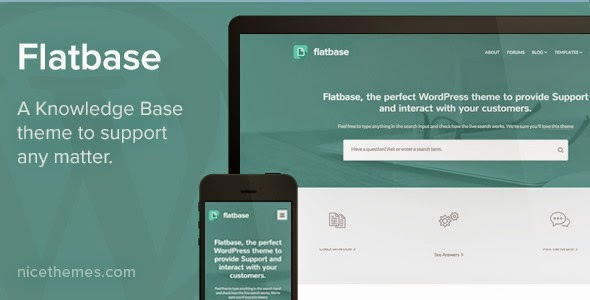 Item Reviewed: Flatbase - A responsive Knowledge Base Wiki Theme 9 out of 10 based on 10 ratings. 9 user reviews.